The Book that is full of exciting information that makes you enjoy the HOT ROD CUSTOM SHOW evemore! 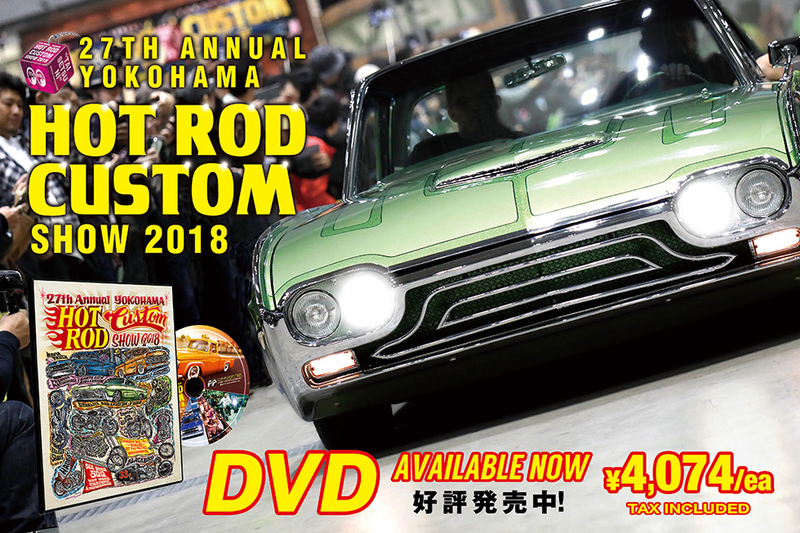 YOKOHAMA HOT ROD CUSTOM SHOW is on Sunday 2 December at Pacifico Yokohama. Many Guests will come to Japan to boost the show! And finally "MOON CALLS" is completed with full of information about this year's HCS Guests!! It is the book full of great photos and information about Guests' Cars and Motorcycle, each Spotlights and Limitd items! At MOONEYES Area-1 and HOT ROD CUSTOM SHOW MOONEYES Booth, we will distribute this wonderful MOON CALLS to people who are interested !! If you want to get it, please ask our MOONEYES STAFF. ※MOON CALLS will end as the stock goes out.